HOPG is the standard sample to obtain atomic resolution images with STM. If the sample is corrugated, it can be defoliated with sticky tape. The gold samples allows measurement of motility at the nanoscale by time lapse imaging, in which movement of terraces can be observed in time. 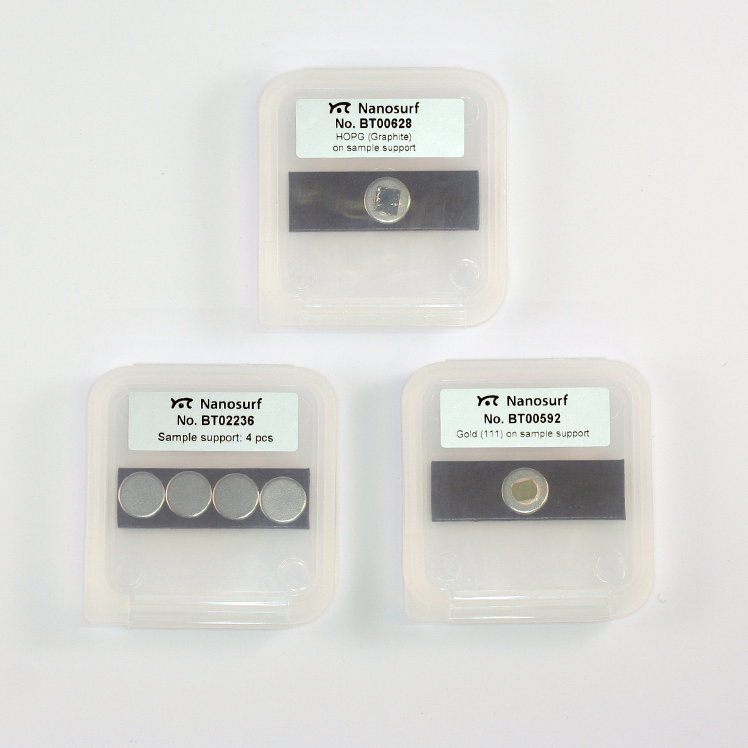 With the four metal substrates own samples can be prepared. When mounting a sample on the substrate, it is important to have a conductive connection from the substrate to the side of the sample facing the STM tip.